The Princess and The Pump: A Type 1 Diabetes Blog: Kindergarten is Rough! Do you see that nice, pretty bruise on her nose and under her eye? Well, it had nothing to do with kindergarten! She ran into a table at Gaga and Mimi's house. But it hasn't slowed her down any! 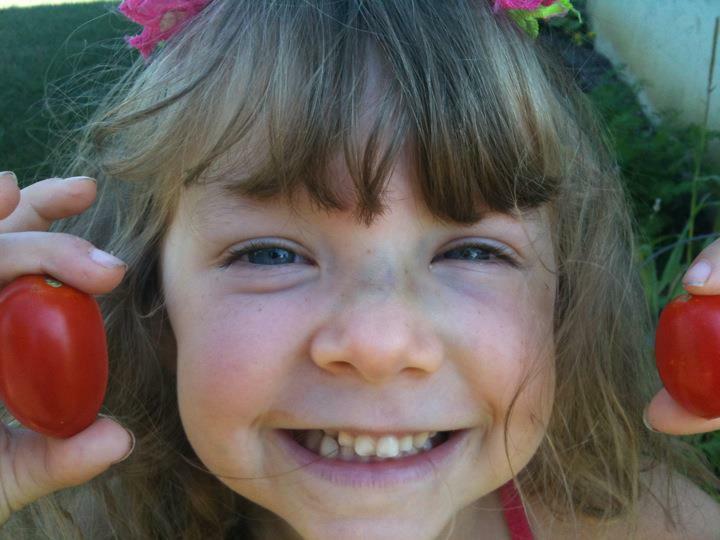 She's posing with tomatoes from our garden. 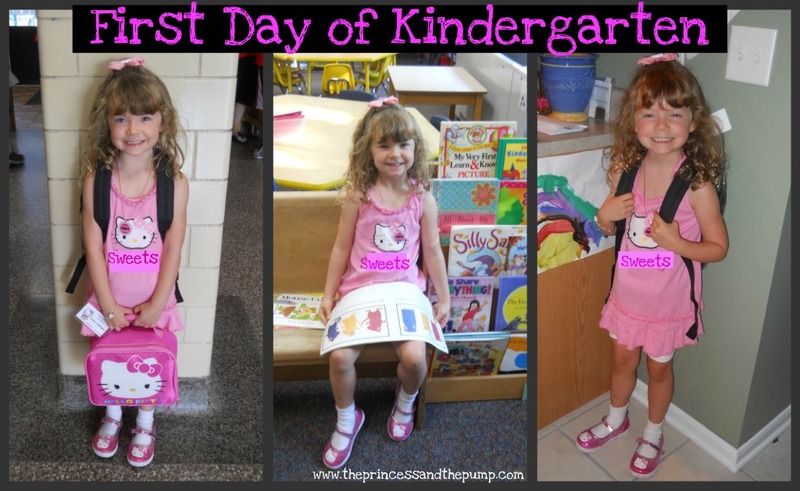 As you may know, Sweetpea started Kindergarten last week! (And so did I - which is why I haven't had the time to blog in a week!). And she LOVES IT! She is sooooooo excited to be there and soooooooo happy! Her first morning she said to the cat, "Spooky, I may look a little different to you this morning. 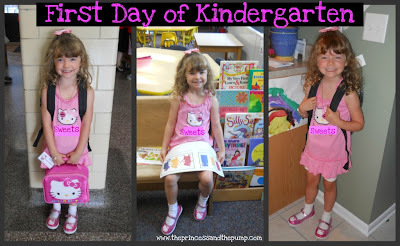 If so, it's because I'm a kindergartener now." So sweet! Things have gone pretty well - all things considered. The first day was a little bit rough. She beeped low/double arrows down about 7 times. I expected her to be on the high side due to the excitement - because that is what excitement USUALLY does to her bg. But - of course - when does diabetes ever do the same thing twice?!? This did not upset her in the least. She loves the wonderful CCA in the clinic and LOVED getting to eat some Starbursts! She thought it was a win-win! The second day she only beeped low/double arrows down about 4 times. And then on Friday, she was down to twice! I pulled back all of her basal rates. I'm hoping it doesn't end up biting me in the a$$ but so far so good! She is having a blast eating at school! She packed her lunch two days and got pizza on Friday. Luckily my lunch time and her lunch time are the same - so I'm there to count carbs and all. Otherwise, I am not sure I would have been comfortable letting her get the pizza. If I can't see it, I can't SWAG it! But - she only ate a few bites anyway. What she REALLY wanted were the peas. :) And the tray, of course! All in all, it was a very successful week! You really can't ask for more than that! I would kill to get some old school lunch trays at my house! So glad she's enjoying school. Several of my friends kids started kindergarten this week and a few have involved refusal to get on the bus and turning around and running home before she could catch her, then having to have her teacher forcibly remove her from her pantylegs when she dropped her off. Sounds like you are doing a whole lot better! So glad it's going well! Excitement usually makes Matthew go high, too, but the first week of school he was low. You're right..... Never the same 2 days in a row! YEAH! Sounds like a successful start to K!